For dog owners, going out of town can be extremely stressful when you have to consider who is going to care for your dog in your absence. If you can’t bring your dog with you, you’re left with two options: dog boarding or hiring dog sitting services. 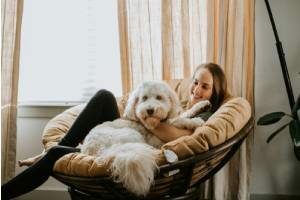 This may not be an easy decision because there are so many factors that need to be considered when it comes to ensuring your dog is most comfortable and well taken care of. These include things such as the cost and quality of care, and the safety of your dog. While both dog boarding and dog sitting services have their pros and cons, ultimately, your dog will surely appreciate being able to say in the comfort of their own home. In recent years, dog boarding has made some drastic improvements and has transitioned away from the cold, concrete, steel cages you might be picturing. Kennels have started to shift to becoming more like pet hotels with the increasing amenities they offer. These amenities can include things like pools, one-on-one play dates, and massages. Dog kennels tend to have different packages that you can choose from that allow you to select which amenities you want and how much personal attention you want your dog to receive. This personal attention is usually extremely important in making sure that your dog feels comfortable and safe, however it can get expensive. One of the major drawbacks of dog boarding is that your dog may not be comfortable with leaving your home. If you have an anxious dog, a dog that suffers from separation anxiety, or an older dog that has never been boarded before, it’s best to avoid dog boarding altogether. Dog kennels can be extremely stressful environments, and if your dog isn’t suited for it, they may grow uncomfortable. Some dogs just can’t handle being boarded and having to be placed in an unfamiliar environment with other dogs they may not get along with for the duration of their stay. Hiring dog sitting services can solve many of the problems that come with dog boarding. Your dog will be stress-free in their own home, will be able to receive personalized care and attention at no additional cost, and you can have the comfort of knowing the dog sitter is well-trained. Professional dog sitters are also a better option than having a friend or family member stay with your dog. This is because they are trained in Pet CPR and first aid, so they know the signs to look for and what to do in case of an emergency. Though your dog won’t have 24/7 care, you can work with your dog sitter to find the right amount of care that works for you. There are different options where a sitter can come for 30, 45, or 60 minutes to take care of your dog and spend time with them throughout the day. If you are worried about your dog being left alone overnight, you can have a dog sitter come to stay in your home during nighttime hours. Overnight stays are for a total of 12 hours and begin between 7-10pm. A 30 minute evening and morning walk is included. You can also schedule additional mid-day visits as needed. 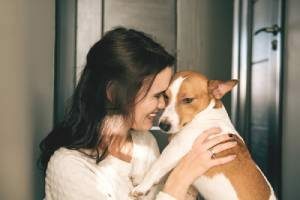 You can ease your worries about a stranger entering your home for the first time by meeting your dog sitter ahead of time to establish a trusting relationship. An added benefit is that your dog sitter can do more than just care for your dog, they can also keep an eye on your house while you’re gone. They can bring in the mail and newspaper, water your plants, and inform you if anything should go wrong. You can request that they clean up your yard after your dog does their business, and have them pick up any supplies your pup may need while you’re gone. While the cons of dog sitting services are minor, they are a few minor drawbacks. Your dog will not have round the clock care. However, a pet sitter will spend enough quality time with your dog during their visits so that your dog will feel more relaxed and comfortable knowing that they have a human to look after them. A second con is that you are welcoming a stranger into your home, at least at first. Your dog may have some apprehension meeting another human caretaker for the first time, however once your dog becomes familiar and comfortable with their dog sitter, they will likely warm up to them. Your dog sitter will take the time to feed and play with your dog so that they won’t feel too anxious without their owner around. You can ease your worries about this by meeting your dog sitter ahead of time to establish a trusting relationship.